TT #01: Basic Soldering Equipment — My advice on the basic equipment necessary for DIY electronics work. 27 minutes. TT #02: Basic Soldering Techniques — How to solder thru-hole components, plus basic advice for all sorts of soldering. 9 minutes. TT #03: Surface Mount Soldering Techniques — How to solder surface-mount components using only basic DIYer equipment. Covers SO-8 chips and 2-lead parts in 1206 and larger size packages. 14 minutes. 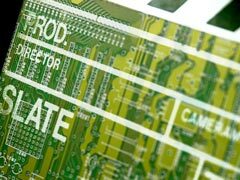 TT #04: How to Desolder Electronic Parts — How to remove electronic parts from circuit boards. Focuses on typical tools and simpler part cases, but does touch on special tools and more difficult desoldering problems. 14 minutes. TT #05: How to Clean Circuit Boards — How to clean rosin flux from circuit boards. Covers choices for solvents, tools and techniques. 8 minutes. TT #06: How to Use a Multimeter — How to use a digital multimeter. Covers DC and AC voltage, resistance, continuity, diode, and current measurements, using both autoranging and manual ranging meters. 29 minutes. TT #07: Creating Schematics in EAGLE — Introduction to the EAGLE circuit board CAD package. In this first part of the series, we create a schematic for my ADAPTLE circuit. 18 minutes. TT #08: Creating Circuit Boards in EAGLE — Continues the ADAPTLE example in EAGLE by creating a circuit board layout from the schematic created in the previous tutorial. 16 minutes. TT #09: Professional Circuit Board Manufacture with EAGLE — Final part of the EAGLE introduction, showing how to take the circuit board layout and create the output files necessary to get the board manufactured. 12 minutes. TT #10: Ground Planes in EAGLE — Moving on to more meaty topics in EAGLE, I show how to create and manipulate ground planes. TT #11: Alternate Output Options in EAGLE — Tutorial 9 showed how to output PCB art to Gerbers, but what if you want to send it somewhere else, such as to a printer for making masks for hand-etching your own boards, or to a graphic for posting on the web? This tutorial fills that gap. TT #12: Creating Custom Parts in EAGLE: Symbols — EAGLE's libraries, though impressively large, don't cover everything. In any significant project, you're probably going to have to create at least one custom part. In this first of a series of three videos on this topic, I show how to create a custom schematic symbol, using the TLE2426 as an example. TT #13: Creating Custom Parts in EAGLE: Packages — Continuing the series, this shows how to add packages to your custom part for the board editor to use. We don't create anything from scratch in this video, just scrounge together what we can find from other libraries. This is the most common case, since there aren't really all that many package types in the world. Chances are, the EAGLE library has what you need, somewhere. TT #15: How a Potentiometer Works — Potentiometers are really simple little devices, but they may not seem so until you actually understand how they work. This video explains it from both the circuit perspective and the mechanical perspective. 8 minutes.